IZ*ONE reveals their fanclub name will be 'WIZ*ONE'! IZ*ONE announced their official fanclub name during the group's October 29 'show-con'. While the girls expressed some sadness that they would no longer be referring to their fans as 'the nation's producers,' the name assigned to voters by the 'Produce' competition show franchise, they were excited to reveal the new fanclub name 'WIZ*ONE.' 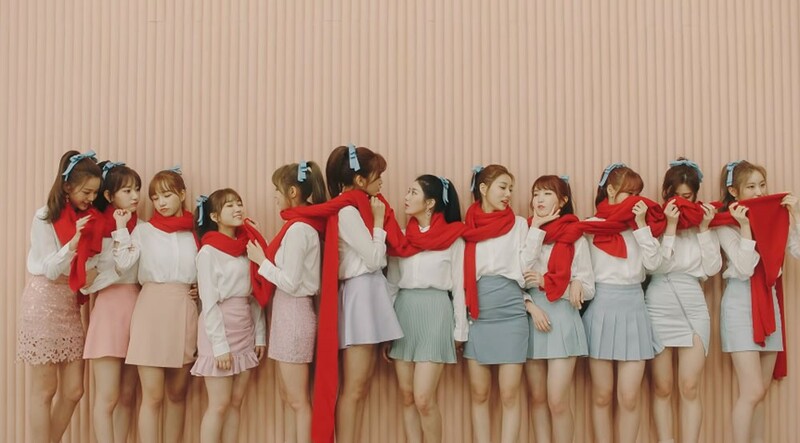 The name not only intentionally sounds similar to 'we are one,' but the 'wiz' in the group's name is meant to signify the 'magical future' fans will be sharing with IZ*ONE during their activities. What do you think of the fanclub name? No hate on the group because I genuinely like them, but..........This is kind of an unfortunate choice in naming their fans. Yes, I know it is supposed to be pronounced "Wise ones". The spelling "W-I-Z" typically is pronounced "Wizz" with a short "I" vowel sound. Did no one at Stone Music know that "whiz" is also English slang meaning "to urinate"?? This is almost as bad as the naming of (G)-IDLE and disregarding that in English idle implies laziness.